The Honda CR-V and Honda HR-V offer buyers plenty of room without all the heft and bulk of your typical. 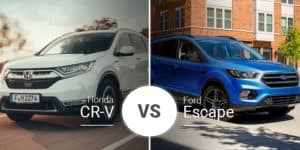 These all crossovers, while similar, have much different target clients as the Honda CR-V offers a larger body and more interior room, while the HR-V is more compact and ready to tackle tight city traffic. 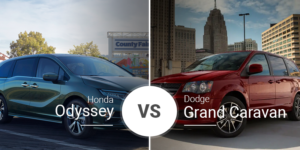 Which is better for your Rochester area family? Find out below. 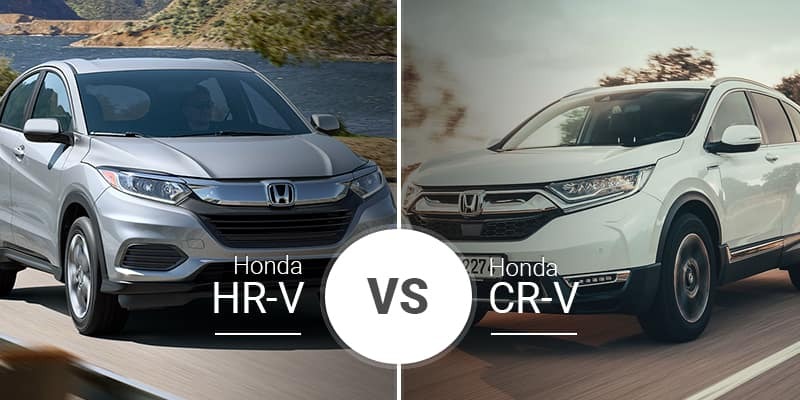 Though they are related by brand, the 2019 Honda HR-V and 2019 Honda CR-V don’t share much in terms of styling. The HR-V is a subcompact crossover based on the Honda Fit platform, so its proportions and styling is more tailored toward a younger crowd. The Honda CR-V boasts a more mature look with its flatter front fascia, less swoopy roofline, and upright rear hatch. This makes the compact CR-V a more appropriate choice for more established buyers who prefer not to stand out in a college dorm parking lot. Some may find this look a little too vanilla, but it is right up the alley for our older buyers with families. 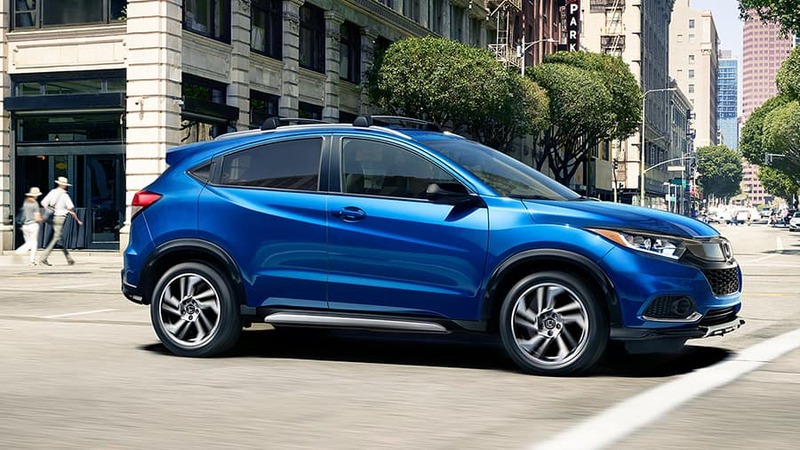 As a subcompact crossover, the 2019 Honda HR-V is significantly smaller than the CR0V in every measurement. This makes it easier to maneuver through rush hour traffic and park in tight spaces, but it also robs it of interior room. Inside, the Honda HR-V takes on the more reserved approach with plenty of black plastic and rubber throughout, especially in its base LX trim. As you move up the trim levels, some chrome accents arrive, a more robust infotainment comes in, and electrostatic touch buttons take over the climate controls, adding a little class to it. Though the HR-V attempts to keep up with the CR-V, it cannot hang in the higher trim levels. The CR-V simply gets way too many premium features, like wood trim and soft leather upholstery, for the HR-V to compete. 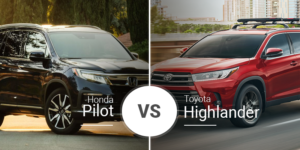 In terms of tech features, the CR-V and HR-V are similar in most trim levels. Both have just the bare minimum in their base LX trims, but they add more advanced features like larger touchscreens, Android Auto and Apple CarPlay, higher-powered audio systems, and more. 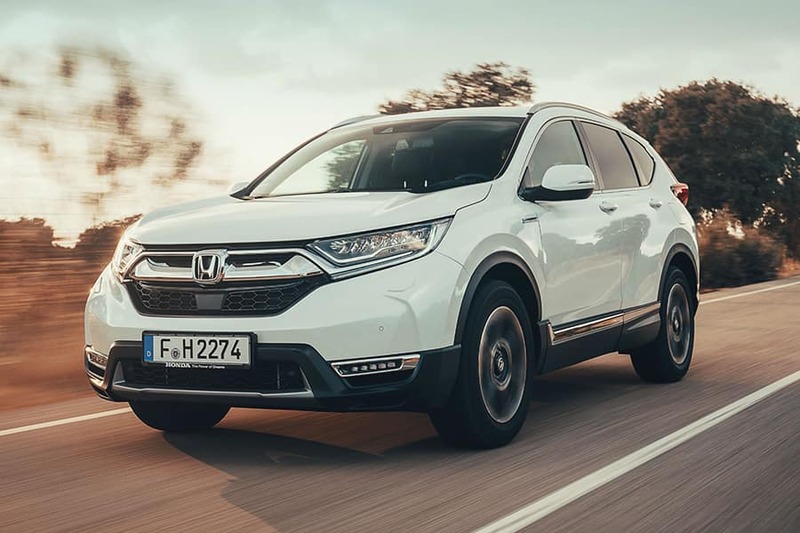 But as you climb higher into the trim levels, the CR-V hits levels the HR-V cannot touch, including a 330-watt audio system and a power liftgate. Performance and small SUVs don’t mix well, and this rings true for the 2019 HR-V and 2019 CR-V. The HR-V comes with a 1.8-liter four-cylinder engine that pairs with a continuously variable transmission. Buyers can get it with standard front-wheel drive or optional all-wheel drive. This adds up to an 8.6-second 0-to-60 time. The CR-V’s standard 2.4-liter engine pumps out a ton more power than the HR-V’s powertrain, making is 0.4 seconds quicker to 60 mph. With its optional 1.5-liter turbo engine, the power jumps by 6 horsepower and its peak torque kicks in much lower in the rev band, resulting in an even quicker 7.6-second 0-to-60 time. While neither crossover is fast, the Honda HR-V’s lighter body and smaller footprint make it far more fun in the corners. This is enhanced in all-wheel-drive models as they swap the torsion-bar rear suspension for a De Dion setup that increases it agility a bit. Both crossovers get great fuel economy, but the HR-V edges out the CR-V by 1 to 3 mpg in some areas. The 2019 Honda HR-V is available in five trim levels — LX, Sport, EX, EX-L, and Touring — and their starting prices range from $20,520 to $28,540. 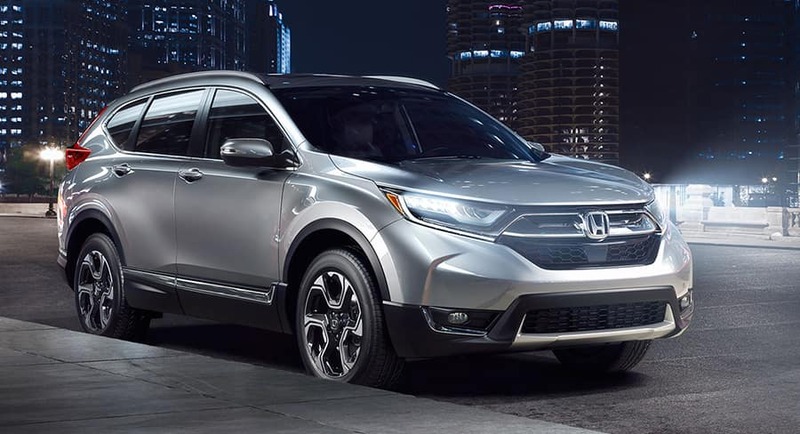 The four trims that make up the 2019 Honda CR-V lineup include the LX, EX, EX-L, and Touring. Their starting prices range from $24,250 to $32,750. The smaller Honda HR-V is not for everyone, but it hits a sweet spot with its lower prices and surprisingly large rear seats. Plus, with its Magic Seat second row, you can fold the rear seats and open a surprisingly large cargo area. This makes it perfect for a younger buyer looking to save money without sacrificing space or features. Got a growing family and need all the space you can get? 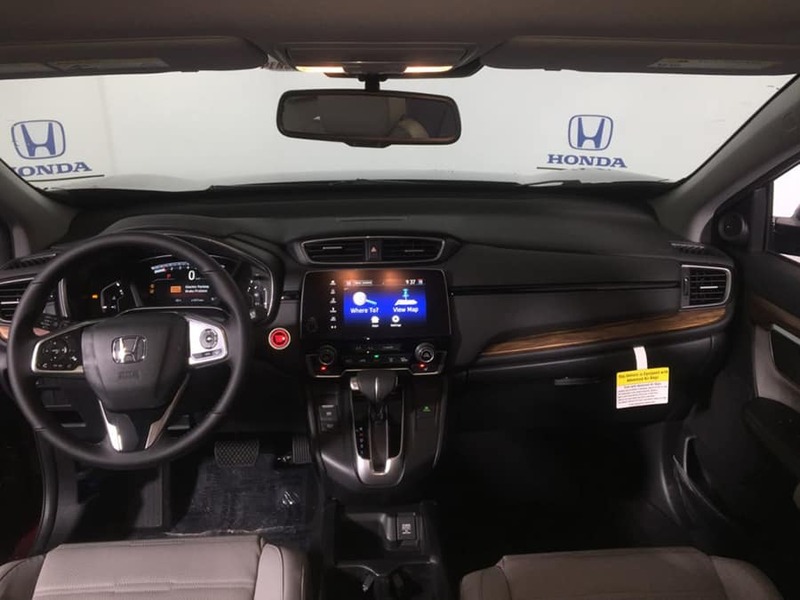 If so, the 2019 Honda CR-V is the better pick for you thanks to its roomier rear seat and huge cargo area. 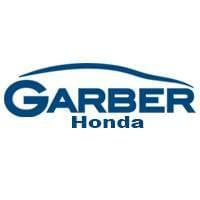 Whether you think the 2019 Honda CR-V or 2019 Honda HR-V is better for you, head down to Garber Honda serving the Rochester area to test drive both and make sure you’re making the right choice. Just a short drive from Pittsford and Henrietta our new Honda dealership has plenty of both models in stock today. Can’t make it into our Rochester area Honda dealership today? 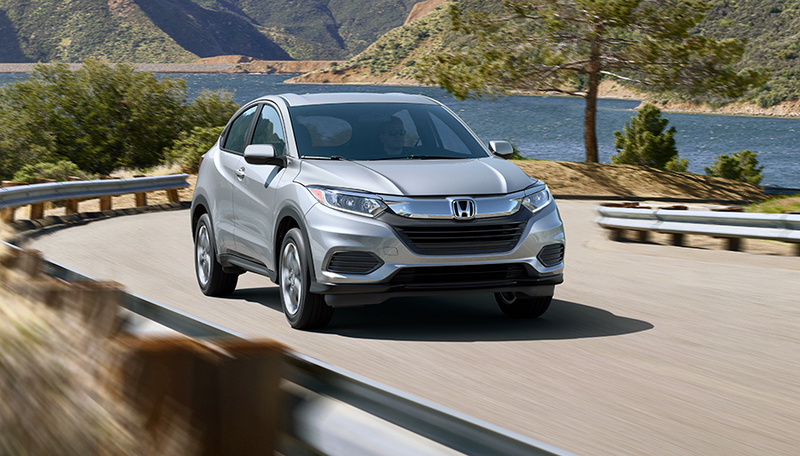 Navigate over to our online inventory, pick a few 2019 HR-V and 2019 CR-V models you like and schedule a test drive for later.